The International Geographical Union established a commission on urban geography 1976, and this commission has been renewed and the goals reformulated since. Since cities, with their distinctive processes and problems, are major features of the modern world, it is vital to focus on their characteristics, problems and solutions in a comparative global context. 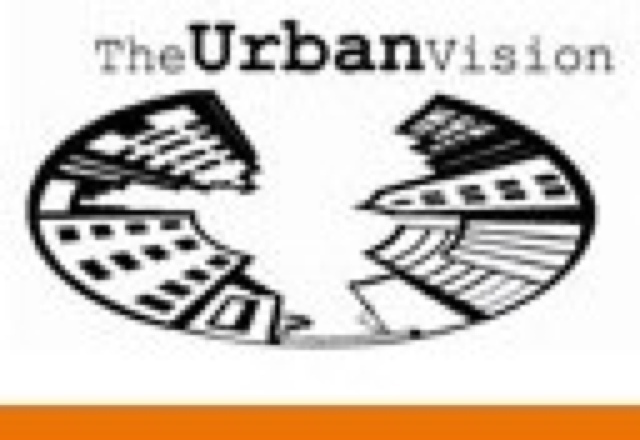 The Urban Commission is designed to encourage geographical research on emerging problems of contemporary cities and city systems, especially given the increasingly dominant role of urban phenomena. 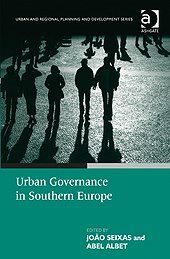 Previous IGU urban commissions have produced many publications, debated key problems, and have supported interaction among urban geographers from many countries. They have also exposed participants to the practical urban problems in different countries, providing them with unique and invaluable experiences to share with their students and colleagues. By 2008 the world had more people living in urban settlements than in rural areas for the first time in human history. Although the transition from rural to urban lifestyles has already taken place in many countries, this urban change now affects the whole world, and is taking place at the same time as major new transformations in our existing human habitat. While the demographic explosion is a major cause of urban growth, we can also point to new communication and industrial technologies, the growth of service sectors, rapidly expanded spatial interaction and migrations, and the increasing speed and wider penetration of global capitalism by reduced trade barriers due to the reduction of trade restrictions and the spread of neo-liberal ideas. As more of the world’s population lives and works within an urban habitat, the intrinsic properties of urban systems and urban settlements have become the most important determinants of human life. Within this newly urban world, the size and characteristics of the cities in which we live shape our life chances, our economic and social opportunities and our quality of life, especially within the huge metropolitan concentrations. But a series of emerging trends are rapidly transforming the character of these cities and hinterlands which influence so much of our day-to-day lives. 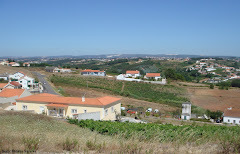 These are seen in new combinations of urban land use mixes, varied degrees of concentration or de-concentration, changing spatial distributions of employment, income and ethnicity, a revived emphasis on civic culture and policies, increasing concern about the new hazards of the city life, in addition to an increasing recognition of the need to incorporate historical heritages and address the quality of life and amenities in cities. 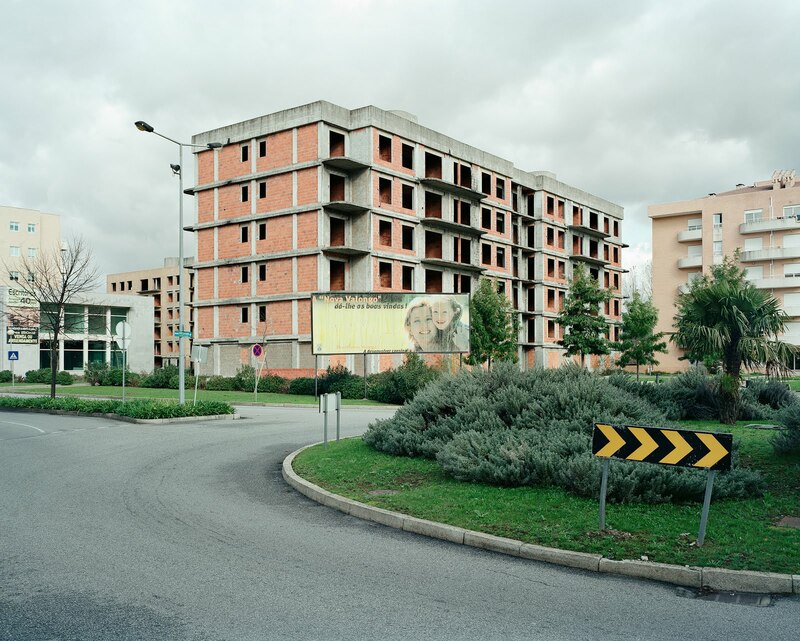 At the same time, these urban transformations have imposed even greater pressures upon the nearby countryside. A growing population consumes the resources from nearby communities and exports a variety of contaminants, creating an expanding ‘footprint’ of environmental impact, often with negative consequences for the quality of urban life. 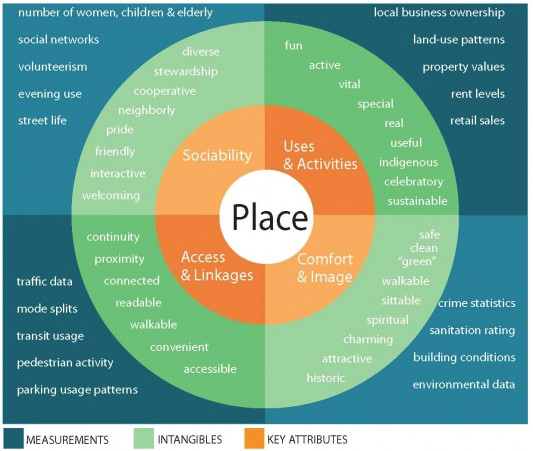 This has led to the increasing interest in the notions of ‘sustainability’, as well as the determinants of the ‘quality of life’, all of which support a variety of new and important research projects for urban geographers. 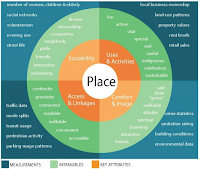 Although the various processes causing these urban transformations are common to many countries, the new changes in urban systems and the internal geography of cities, as well as concerns about sustainability, take different forms in different places. The result is increasingly complex patterns of urban systems and urban structures. But the common forces at work in our increasingly interconnected world do not necessarily lead to homogenous results. The many transformations that are taking place are contingent upon local and regional circumstances, and the results are frequently indeterminate, often with varied and unanticipated consequences. Thus there is a pressing need to identify, monitor and explain these new and emerging patterns of differentiation in our urban world, through international co-operation - patterns that have been summarized in the title of the 2008-2012 commission ‘Emerging Urban Transformations’. 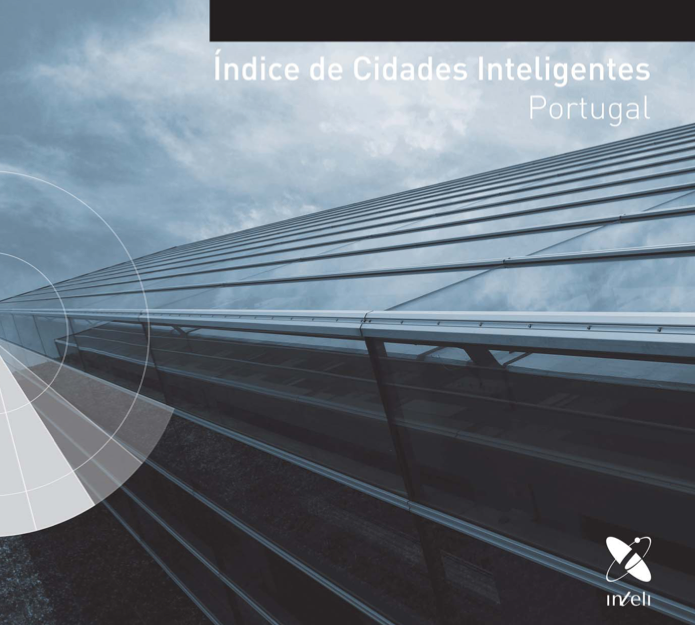 O Índice de Cidades Inteligentes 2020 foi aplicado, nesta primeira edição, às cidades que constituem o Living Lab RENER – Rede de Inovação Urbana, liderado pela INTELI e membro da Rede Europeia de Living Labs. Trata-se de um laboratório vivo que integra 25 cidades portuguesas, funcionando como espaço de teste e experimentação de soluções urbanas inteligentes em contexto real. Privilegia-se uma filosofia de inovação aberta e de co-criação com forte envolvimento dos utilizadores e cidadãos. O RENER é também um palco de partilha de experiências e boas práticas com capacidade de replicação noutras cidades e regiões, quer a nível nacional quer internacional. A origem do living lab encontra-se associada ao Programa Nacional de Mobilidade Eléctrica, tendo as cidades envolvidas funcionado como test-bed para a introdução do veículo eléctrico em Portugal, ao nível da infra-estrutura de carregamento e da respectiva rede de gestão e informação. Pretende-se agora alargar a intervenção do RENER a outras áreas de inteligência urbana, como a eficiência energética, energias renováveis, gestão da água e resíduos, governação, inovação social, etc., criando uma rede de cidades inteligentes em Portugal. Une nouvelle approche de la conservation urbaine ? En novembre 2011, l’UNESCO a adopté un nouveau texte normatif, la Recommandation concernant le paysage urbain historique. C’est le premier texte normatif de l’UNESCO dédié spécifiquement aux villes, et le premier texte de l’UNESCO sur la conservation depuis 35 ans. Lorenzo Diez, directeur de l’ENSA de Nancy et professeur associé à l’École de Chaillot. 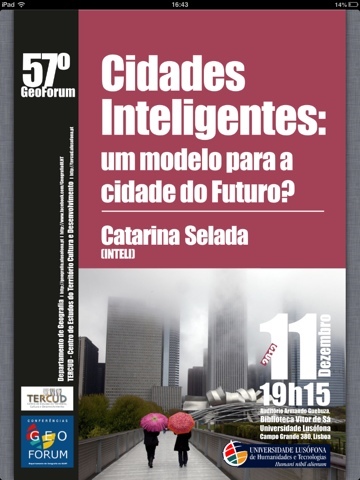 O livro analisa as realidades, pressões e tendências geográficas e de governação de uma série de territórios urbanos do Sul da Europa, de Lisboa a Atenas e de Toulouse a Istanbul. Procura trazer novas reflexões para as políticas urbanas e metropolitanas nas sociedades meridionais Europeias, quer em face dos debates em torno da governança, quer face às pressões mais recentes em curso. 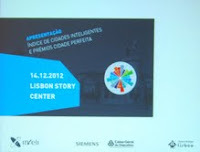 Lisboa, Almada, Cascais, Aveiro e Vila Nova de Gaia destacam-se pelo seu comportamento "inteligente" num índice que vai além das soluções tecnológicas utilizadas e integra também sustentabilidade ou inclusão social. 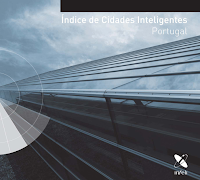 O Índice de Cidades Inteligentes 2012, elaborado pela Inteli e hoje apresentado em livro, contempla 20 dos 25 municípios da rede Living Lab RENER para a renovação urbana, de todo o país, e analisa as áreas da governação, inovação, sustentabilidade, inclusão e conetividade, com cerca de 80 indicadores cada uma. 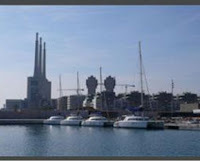 Fortifiée jusqu’au milieu du XIXe siècle, la ville de Barcelone va connaître une forte densification du fait de la révolution industrielle. Il devient nécessaire d’adapter la ville à de nouvelles exigences d’hygiène et de transports. La solution sera d’abattre les enceintes et d’élargir le périmètre de la ville. Dans les faits, le principe de la ville diffuse s’impose progressivement. Cet étalement urbain provoque un débat sur la transformation de la ville. En 1855, Ildefonso Cerdà établit un plan topographique de Barcelone et de ses environs qui permet d’engager une réflexion sur l’urbanisation en s’appuyant sur la mémoire des villes. Cerdà utilisera Barcelone, sa transformation et son extension comme terrain d’analyse et comme base de ses propositions. En s’appuyant sur le plan topographique, il soumet à la reine Isabel II le Projet de transformation et d’extension de Barcelone de 1859, qui se développe sur un territoire représentant dix fois la surface de l’ancienne ville fortifiée. Cerdà, ingénieur civil du gouvernement, est chargé du projet urbain entre 1860 et 1865 et en contrôle l’application. En 1867, il publie sa Teoría general de la urbanización que Françoise Choay qualifiera, dans son livre La Règle et le modèle, de texte pionnier de la théorie urbaine. À l’instar des travaux d’Haussmann pour Paris, le Projet de transformation et d’extension de Barcelone de 1859 conçu par Cerdà a marqué l’organisation et le développement de la ville depuis cent cinquante ans. Un modèle de densité dans les deux cas. Não obstante o esforço de Ordenamento do Território, em Portugal, nas últimas décadas é consensual a opinião de que tem sido pouco eficaz, de que muitas das transformações ocorridas desaproveitam, numa prespectiva colectiva, recursos ambientais e financeiros. De há muito que as alterações que aqui se preconizam são necessárias. 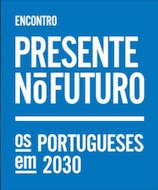 A legislação—desde o DL380/99, já lá vão 13 anos—aponta este caminho. A actual crise económica/financeira exige, ainda mais, uma utilização racional dos parcos recursos disponíveis, público e privados. Há que os adicionar e que os estimular, orientando-os para operações urbanísticas que, pagando-se a si prórpias. Contribuem para o bem comum. The workshop will be focused on the themes of the rights to the city, housing and the environment, with the aim of discussing issues, strategies, design tools and policies relevant to planning in the current political-economic phase. In the current political-economic phase, affected by the global financial crisis started in 2007-08, the reduction of public investments in crucial sectors as services and welfare, as well as increasing social conflicts, are strongly putting into question, in Europe and elsewhere, the issue of the rights to the city, and calling for more attention to alternative modes of habitability inspired by principles like adaptation and innovation. In such a perspective, the rights to the city and the environment comes to forefront and challenges planning to revise its themes, approaches and tools. 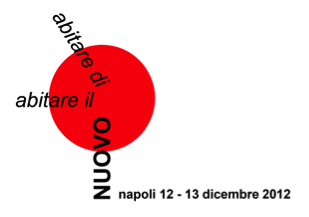 The issue of housing gets new importance as well, and calls for an in-depth investigation about new urban formations, on one side, and new approaches to constructions in a sustainable perspective, rational use of resources, building heritage management on the other. In such a frame, the invitation to scholars from different fields focusing on the transformations of the built environment proposes three different tracks, hereafter briefly summarized. In the current phase, urban and regional planning is challenged, on different scales, by new demands and dimensions of habitability produced, in times of crisis, by massive processes of socio-spatial restructuring (new combinations of poverty and marginality, racisms, polarization of degradation and environmental regeneration, functional segregation, etc..). In such a perspective, for example, the economic and political divide between continental and peripheral regions in Europe, one of the core-themes of cohesion and development policies produced in these past years by the EU, seems more critical today, when crisis is heavily pushing countries to the edge of peripherization or internal fragmentation. 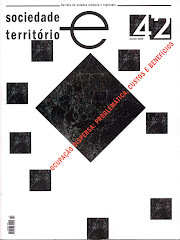 A new territorial project, dealing with transformations of the built environment and emerging socio-economic patterns of crisis, is a rising challenge occurring in a cultural and economic cycle that, 40 years after, brings back to the political agenda issues like austerity and sobriety of society and institutions. Finally, a new focus on urban micro-politics, i.e. practices of social production of space coping with issues of power and conflict, emphasizes the potentials that field research, often carried out through cases designed for the micro scale (neighborhoods), may display in terms of a different interpretation of the “effects of globalization” on contemporary cities. This issue has been usually approached, in recent years, as a part of the debate on sprawl or density, in terms of technological upgrading related to sustainable energies, or in social terms relating to the construction of new housing. None of this aspects can be considered secondary, indeed all of them have an indispensable role in the contemporary debate on residence, but it is also important to rethink and consider some specific design aspects: the functional program, the spatial organization of the house, the building typologies, the types of aggregation, common areas, public and semipublic spaces. And finally come back to consider the role of a distinctive feature of specific culture settlements always played by the theme of housing. Reasoning about housing design, now means to focus on the spaces of the contemporary city, not only in large areas of urban addition, but also in many unresolved and unfinished places, and in all the landlocked, hybrid or wasted areas, into the structural body of the city. A further field of reflection is offered by the transformations taking place in urban consolidated areas. In this cases the existing architectural heritage is constantly adapting to internal processes, producing spatiality, typologies and different ways of living, with an approach focused on the interpretation of the tangible and intangible traces suggested by the pre-existence, which combines echoes of theoretical models. In this variety of cases and situations it is important to develop a theoretical debate on projects that have addressed these issues, and on several theoretical studies (starting from studies on housing to urban researches on new issues related to the existing, to the need to control the use of resources). This set of different components can generate innovative contribution to the topic, reviewing critically some "invariant" of the design of the house, such as recognition, modularity and types of aggregation, just to mention few examples. It can be useful to relate these invariants with further aspects, that reflect the contemporary design of the house, working on new spatial categories, starting from an idea of flexibility, versatility, functional organization, as a design strategy, to respond to a new request of life style and to the changing of family units with different ways of living. In the recent frame of environmental, energy, economic and social crisis it is necessary to better understand the urban dynamics and the various contexts where nowadays we can outline new challenges for the built environment induced by scenarios characterized by “poor” environmental resources (land and water), limited financial resources availability, rising energy and environmental costs for the management of building processes and buildings’ lifecycle. The objective crisis conditions and the awareness about the irreversibility of transformations under way are driving towards new strategies, processes, tools, design solutions and technologies in order to define new logics in the construction industry capable of offering effective responses to the outlined issues. Some strategic themes can be identified as the ability to mitigate and adapt to new environmental conditions as the result of climate change, the proposition of better housing models and the definition of appropriate ways to achieve the economic development of the sector, compatible with individuals’ social and cultural needs. The architecture action fields in which economic growth, environmental safeguard and the use of new energies can be better conjugated, can be found, according to numerous studies, in building and urban rehabilitation, energy saving actions related to urban spaces and buildings, technology innovation, performance approach, urban and building local development, in sustainable and strategic design. Complexo Interdisciplinar da Universidade de Lisboa. 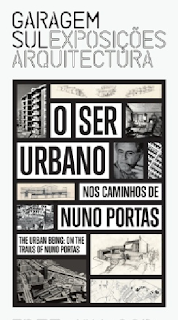 A construção de uma Arquitectura Urbana e do Habitar, estimulante porque harmonizada com as boas medidas do homem e bem reflectidas nas boas medidas da cidade e das vizinhanças que a compõem, nunca será possível em espaços urbanos monótonos e descaracterizados. • e, finalmente, os pontos de referência, que são referências pontuais, externas ao observador (ex., edifício singular, anúncio muito evidente, loja característica, montanha dominante, etc. ), longínquas ou marcando, directamente, constantes direccionais, percursos e sequências de vistas. E Lynch remata este seu modelo de imagem urbana, referindo que é preciso modelar estes elementos conjuntamente, para que se possa atingir uma forma urbana consistente, através de grupos de elementos semelhantes ou distintos, que se reforcem mutuamente, e que, podemos provavelmente concluir, ao se integrarem e reforçarem constroem uma imagem unitária que dificilmente será igual a qualquer outra. 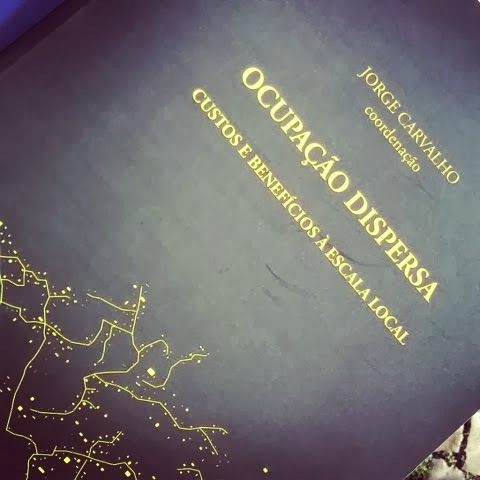 • “A arquitetura deve ser generosa e convidativa para todos, sem distinção… O arquiteto é como o médico … deve simplesmente providenciar para que aquilo que pratica faça com que alguém se sinta melhor” (p.267). • “Devemos ter cuidado para não deixar buracos e cantos perdidos e sem utilidade, que como não servem para nenhum objetivo, são «inabitáveis». Um arquiteto não deve desperdiçar espaço… pelo contrário deve acrescentar espaço… também em lugares que em geral não despertam atenção, isto é, entre as coisas” (p.186). 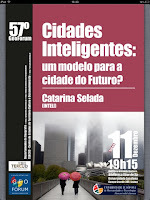 • “Onde quer que haja desperdício de espaço para o trânsito, os edifícios se tornam isolados, distantes entre si, isso faz com que seja impossível que o espaço urbano evolua organicamente” (p. 192). "(...) gosto do meu país; das suas grandezas e misérias; do Rio, das suas praias e montanhas; dos cariocas, tranqüilos e desinibidos, como se a vida fosse justa e eles a desfrutavam sem discriminação. Como gosto deste país imenso! 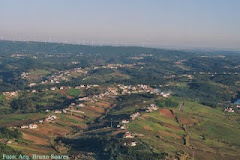 Do Norte ao Sul. Dos mais abandonados a fugirem da seca, sem casa nem comida, marcados pelo desespero; dos meus irmãos favelados, a ocuparem os morros com suas revoltas. Como tento desculpá-los quando a vida os transforma e a justiça dos homens os cerca implacável." ‎"Não é o ângulo reto que me atrai. Nem a linha reta, dura, inflexível criada pelo homem. O que me atrai é a curva livre e sensual. A curva que encontro nas montanhas do meu país. No curso sinuoso dos sentidos, nas nuvens do céu. No corpo da mulher preferida. De curvas é feito todo o universo”. 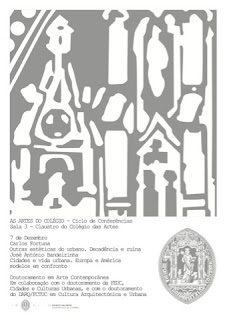 Exposição "O Ser Urbano. Nos Caminhos de Nuno Portas"
Esta exposição abrange cerca de 50 anos do percurso profissional de Nuno Portas (Vila Viçosa, 1934), personalidade multíplice e heterodoxa que atravessou momentos fulcrais da cultura portuguesa, produzindo obras de referência – no âmbito da crítica cultural, da investigação, da arquitectura, do urbanismo, das políticas da habitação e da cidade -,as quais indexam as últimas décadas da nossa história recente. - "Outras estéticas do urbano. Decadência e ruína"
- "Cidades e vida urbana. Europa e América modelos em confronto"
Ambivalence stands for the simultaneously contradictory and opposing perception of a given phenomenon, which despite disorienting in its manifestations, may be regarded as a condition from which to build renewed frameworks of analysis and critique. 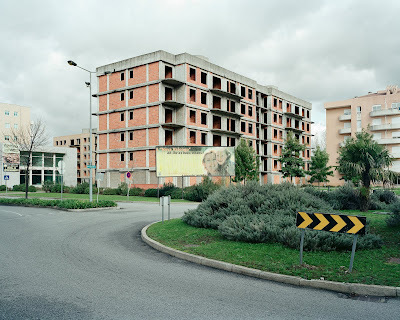 These are the landscapes of a changing urban Europe. No longer confined to the City but ever more dependent on stronger spaces of citizenship. Scholars are invited to participate with original papers on a multiple disciplinary basis – urbanism and architecture, social sciences and landscape, design and technology. Three tracks were designed to bringing together different approaches into a shared topic: Empty Cities, Collective spaces, Living infrastructures. Desenvolvimento Sustentável é satisfazer as necessidades da geração atual, sem comprometer a capacidade das gerações futuras de satisfazerem as suas próprias necessidades. Leia mais sobre soluções para megacidades. Com tecnologias inovadoras, as megacidades brasileiras podem tornar-se mais ecológicas, aumentar a qualidade de vida dos seus habitantes e cortar custos – tudo ao mesmo tempo. A América Latina é a região mais urbanizada no mundo em desenvolvimento. Por isso existe um grande potencial para um desenvolvimento sustentável em megacidades da América Latina. Aproximadamente 80% da população do Brasil (atualmente 196 milhões) vivem em cidades. Os centros urbanos mais densamente povoados são: São Paulo, com uma população de 20,3 milhões de habitantes, e Rio de Janeiro, com aproximadamente 11,4 milhões. Essa urbanização crescente está forçando as cidades no Brasil e em outros países a tornarem as suas infraestruturas mais eficientes e sustentáveis em áreas como fornecimento de eletricidade e smart grid, além de mobilidade e edifícios verdes. Por causa dos próximos grandes eventos, as soluções de segurança também estão se tornando cada vez mais importantes. Na Conferência das Nações Unidas sobre Desenvolvimento Sustentável (Rio+20) no Rio de Janeiro em junho de 2012, os participantes expressaram o seu compromisso com o desenvolvimento sustentável. Mais de 14.000 pessoas de todo o mundo visitaram as exibições no pavilhão do PNUMA (Programa das Nações Unidas para o Meio Ambiente). "Valongo, entre o ser e o não querer ser um cemitério de prédios inacabados"
O prédio inacabado na Avenida do Dr. Fernando Melo é, ele próprio, um mote. Com o seu cartaz - retirado este ano, já depois de feita a fotografia ao lado - a anunciar uma "Nova Valongo", a imagem condensa o resultado do choque entre a vontade política de atrair a este concelho milhares de novos moradores, abrindo para isso o terreno à explosão urbanística e à habitação barata, e o arrefecimento provocado pelo excesso da oferta e a crise no mercado imobiliário. Em Valongo, como noutros espaços suburbanos das áreas metropolitanas de Lisboa e Porto, a cidade moderna convive com a sua própria ruína, a dos esqueletos inacabados à espera de uma solução. Vizinho desta realidade, o fotógrafo Helder Sousa fez do levantamento destas promessas por cumprir a sua tese de mestrado. E a Câmara de Valongo aceitou expor estes retratos de um problema que anda a tentar resolver. Entre os Censos de 1981 e 2011, a população de Valongo cresceu quase 46 %, passando de 64.234 habitantes para os actuais 93.753. O fluxo, facilitado pela melhoria das acessibilidades ao concelho, por um lado, e ao crédito bancário por parte da classe média, por outro, foi alimentado, no destino, com novas urbanizações a prometer qualidade de vida, proximidade ao Porto e preços bastante inferiores aos praticados na área central da região. 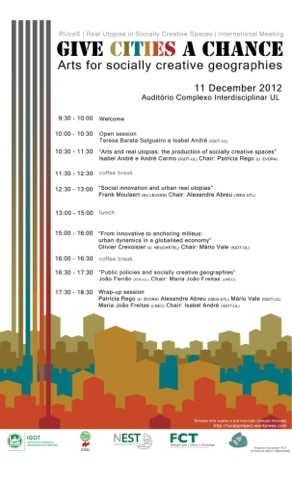 “Cities of Tomorrow: Action Today"
Urban practitioners, policymakers and experts from across the EU will investigate solutions to the challenges faced by EU cities. 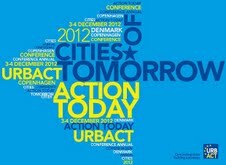 URBACT’s Annual Conference builds on the European Commission’s report "Cities of tomorrow – Challenges, visions, ways forward"(October 2011), which highlights many of the major challenges that hundreds of cities in URBACT networks are trying to solve through sustainable urban development. - Carsten Hansen, Danish Minister for Housing, Urban and Rural Affairs. Drawing on evidence from URBACT – in particular project results and lessons - and other European Territorial Cooperation programmes, we will discuss how cities can tackle six key issues. The discussions will be dynamic in an interactive workshops format, and rhythm both days, alternating with plenary session and follow-ups. The second day will enable participants to go much further into the debates and acquire more global perspectives through EU responses to urban challenges, but not only. Indeed, this will be the opportunity to get a view of global worldwide perspectives and the major urban models thanks to an international panel of city representatives and experts. After its success during the URBACT 2010 Annual Conference, another way of exchanging will be enabled by the "URBACT Café". Based on the model of the World café, the URBACT Café offers participants an informal moment to exchange around tables with representatives from their own country, on their experience and good practices. To the conference are welcomed practitioners and policy-makers involved in urban development at local, regional, national and EU level. 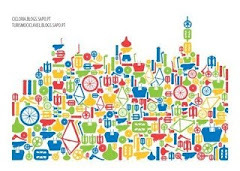 URBACT project partners and experts are invited, other cities, national authorities, EU institutions, as well as research institutions and managing authorities of operational programmes. A week-long study tour to Mumbai, India. The week-long immersion/ study tour to Mumbai is aimed at a select group of ’senior’ International architects / urbanism practitioners and other infrastructure professionals. The immersion tour is designed to create opportunities for exchange on innovation in a wide spectrum of issues in the arena of architecture, built environment, planning ,city building, real estate and infrastructure development. The objective of the program is to create ways for participants to better understand the opportunities & challenges in India’s growing infrastructure & real estate sector; understanding the appropriate legal and regulatory frameworks ; meeting potential partners; fostering new business connections and collaboration; and advocacy of innovative practices that can enable inclusive & sustainable urbanization. Our itinerary will feature five days of extensive, and intimate, meetings in Mumbai with leaders from India along with study tours , a conference & a charrette. Urban Indian population is currently at 300 million and is expected to cross 600 million in the next two decades. India is among the last large rural nations of the world. India is only about 30 per cent urban at this point. There is a huge opportunity to leapfrog into a society that is environmentally and socially sustainable; especially by learning from the successes and failures of the more urbanized parts of the world. This is at the crux of the agenda that we have set forth at The Urban Vision. India is one of the fastest growing economies of the world with an average GDP Growth of 8 % and is expected to be one of the fastest growing economies in the coming years. India is today one of the most dynamic real estate and infrastructure markets in the world. Jones Lang LaSalle’s recent report outlined the investment in infrastructure during 2007-12 at around USD 500 billion. According to Royal Institution of Chartered Surveyors- India may need to potentially build an average of 8.7 billion sq ft of real estate space every year, adding up to a whopping 95 billion sq. ft between 2010 and 2020. The program is designed around high level meetings with key industry leaders, site visits, a conference & a series of roundtables & Lectures , a charrette, and networking event. - A series of lectures & round table meetings featuring leaders from the local real estate / infrastructure sector & experts. - Study tours of regeneration projects; slums, new large scale developments & heritage precincts in the city. - A Conference : which will also feature a series of “ignite” style presentations by the participants. - A half- day session of a charrette around a & “ignite” style proposal presentation. No estudo “Fractal cartography of urban areas” é desenvolvido um modelo que identifica e classifica, de acordo com a dimensão fractal, qualquer área do território em função do tipo de crescimento das áreas edificadas. Teve como base de partida dados estruturados em Sistemas de Informação Geográfica relativos à Área Metropolitana de Lisboa Norte (AML Norte), para os anos de 1960, 1990 e 2004. A equipa de investigação verificou que o crescimento urbano tem seguido um padrão bem definido, quer no tempo, quer no espaço: as áreas construídas evoluem tipicamente de áreas dispersas de pequena dimensão para áreas muito compactas. Este processo de evolução exibe uma dimensão fractal bem definida, o que revela a presença de processos de auto-organização na evolução do território edificado. A comparação entre as dimensões fractais estimadas pelo modelo teórico e as obtidas através dos dados empíricos permitiu a classificação automática das áreas edificadas da AML Norte. Esta categorização permite não só elaborar de forma automática a cartografia da expressão fractal urbana de qualquer metrópole, como também identificar as áreas que necessitam de uma intervenção atempada em matéria de planeamento, a qual deverá ser simultaneamente focada e flexível. "A arquitectura e a paisagem, como enunciado cultural, atestam o modo como vivemos, projectamos o futuro ou nos relacionamos com o passado. Construindo uma possibilidade de ver o espaço num determinado tempo, as fotografias podem ser uma ferramenta para ver e pensar criticamente as paisagens e a arquitectura. Mas raras vezes as fotografias tratam a realidade presente de modo tão persuasivo como o projecto que Helder Sousa realizou no concelho de Valongo, na periferia do Porto. 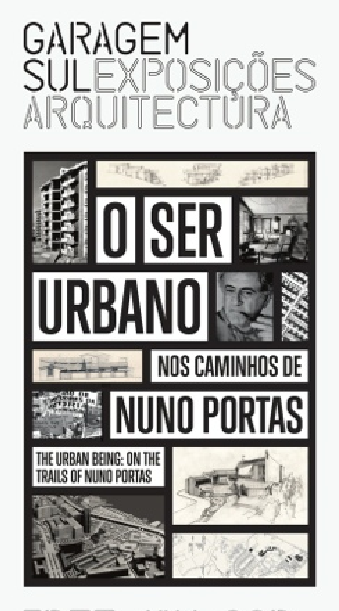 Tendo por objecto a arquitectura de habitação, as fotografias registam um conjunto de projectos arquitectónicos inacabados, vivendas unifamiliares, prédios de habitação ou condomínios com escalas e em frases de construção diferentes – em esqueleto, em tijolo ou já perto dos acabamentos finais. A série de vivendas opera como a demonstração tipológica deste trabalho. Mostrando diversas fases da ruína estas imagens constroem uma convincente alegoria visual sobre o impacto da presente crise económica e social num «certo» tipo de arquitectura. São vivendas destinadas a classes médias emergentes, para as quais o subúrbio tem representado a utopia da paisagem moderna, disciplinada, arejada e modelar, bem como a possibilidade de ascensão social. A ruína emerge como evidência de um estado de coisas – a falência de um modelo social. Só a natureza parece retomar o seu papel regenerador."